The boot process of Sabayon 15.11 starts with a menu options. You can either go into the installation, check your media, boot with specific options, or simply go straight into the Live session, which is actually the default. The wall of running lines was soon replaced with a splash screen that shows a filling circle and then a Sabayon logo in the centre. Boot process itself is reasonably quick. Not much happens on the screen before you land on the default desktop. 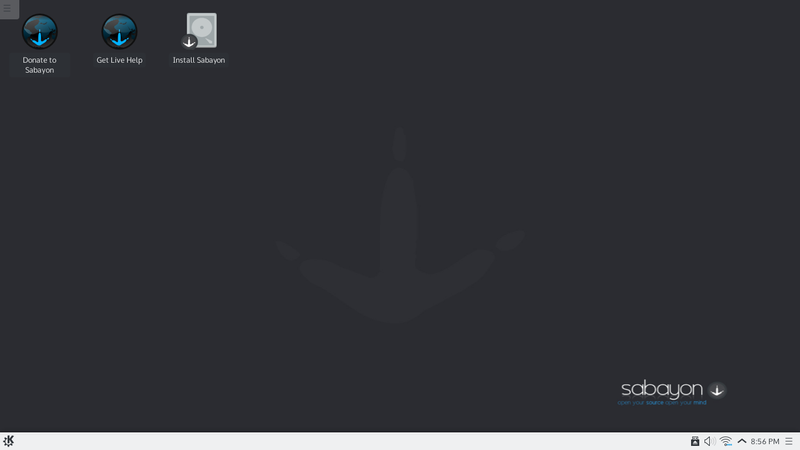 As soon as you boot into Sabayon 15.11 KDE, you understand that you are running KDE. And this is not "just KDE", this is Plasma 5. There is a panel at the bottom of the screen, which has the KDE logo in the left corner. Click that logo and you see the menu. The right part of the panel has "usual suspects" icons like volume and network indicators and clocks. There are also an icon for USB device, which is my USB stick, clipboard monitor, panel control button and drop-down menu for additional icons. The panel itself is in light-grey colour, while all the icons are black. It looks very stylish. There are three icons on the desktop: install Sabayon, donate to the project and Help. The default wallpaper is the same image that was on the splash screen. If you don't like it, then Sabayon 15.11 gives you a choice of several dozen alternatives. The freshly booted system took about 435 MB of memory. This is less than Ubuntu and Ubuntu GNOME editions use, and much less than, for example, Fedora GNOME. And remember, I used the KDE version of Sabayon with Plasma 5, which is the most recent version of this eye-candy-rich and resource-hungry desktop environment. And the system felt very fast and snappy at the beginning. Sabayon 15.11 KDE had no issues in recognising and configuring my wireless network card Realtek 8191 SEvB. I could connect to my home network very easy. The only additional question was linked to the secure password storage, which I declined. Dolphin is the default file manager in Sabayon 15.11 KDE. It has a special function for finding Samba shares on the network, and that function worked ideally for me. I was able to connect to my shared network drive and browse it. No installation of additional software or command line interaction was required here. Sabayon 15.11 KDE comes with VLC as the default multimedia player. It means you should have no issues with playback of any multimedia format. Unfortunately, it wasn't the case. There was no sound initially. It took me some time to understand the reason, but I found it. The output device was set on Mute in the Audio Volume settings. This isn't an obvious configuration, and it is even not on the first tab of the configuration window. 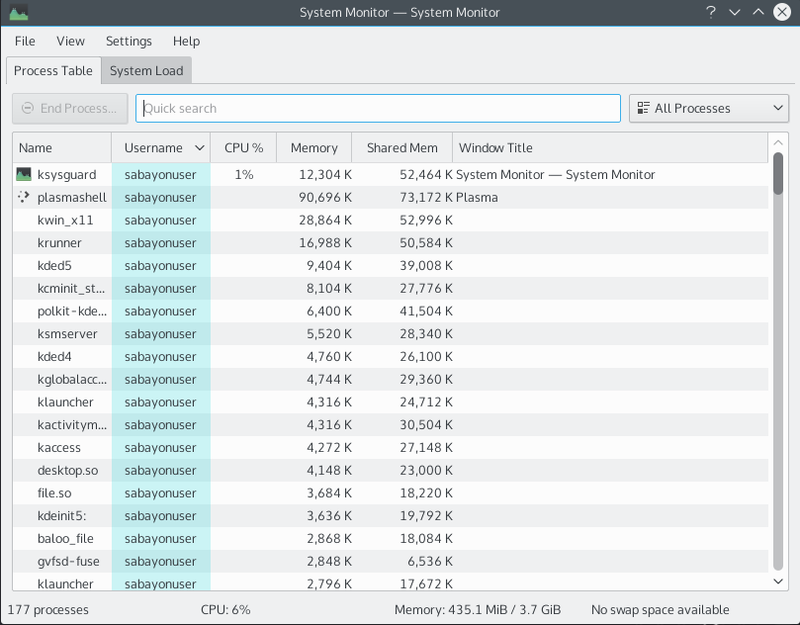 It was that moment when I started to notice that Sabayon 15.11 KDE became slower. It was so slow that the system literally halted. I had to use the power button to reactivate it. Moreover, Sabayon put so much pressure on the processor of my laptop that it didn't want to start for about a minute after the halt because of overheating. 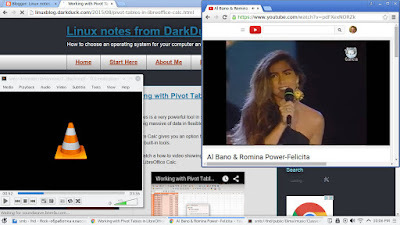 Restart helped the system, and I was able to listen to local MP3 files and watch YouTube videos. The latter worked in either embedded view or on the dedicated site. Sabayon 15.11 KDE comes with the English US keyboard layout by default. Even if you select English UK keyboard in the boot menu, it does not help. There is a message about the missing components somewhere in the running lines at the very beginning of the boot process. Of course, you can configure the layouts for your own taste and requirements. You can do this on the Layouts tab of Keyboard configuration window. This window is available either through a search for "keyboard" in the search bar of the menu, or in the "Input devices" part of the System Settings panel. Unfortunately, the latter option comes with an improperly sized window: you get a lot of scrollbars. Maximizing helps. Once you are on the Layouts tab, configuration is a quite obvious and easy task. I replaced English US with my usual set of English UK and Russian keyboard layouts. The same window gives you the option to configure a switch hotkey, including my favourite Ctrl-Shift. 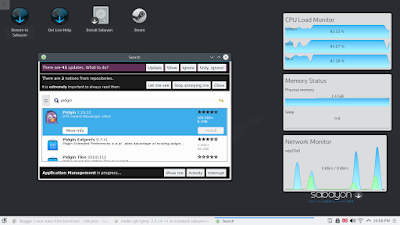 Touchpad scrolling is not enabled in Sabayon 15.11 KDE. You need to activate it in the Touchpad section of the configuration panel. Sabayon 15.11 KDE comes with a rather limited set of applications delivered out of the box. There are 2 browsers: Chrome 46 and Konqueror. Other internet tools include network folder wizard, Kopete internet messenger, Konversation IRC client. The same Internet section of the menu includes Steam - the gaming platform. 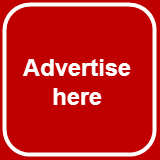 There are no applications for torrent or email client, which are usually included in many other distributions. Productivity tools include only the Document viewer. There is no LibreOffice or other office suite in the default distribution. Graphic tools include Document and Image viewers and KSnapshot utility. There is no editor by default. What Sabayon 15.11 KDE has in abundance is games. There are more than 20 of them, but most of them are quite simple. Multimedia tools include VLC and Clementine players, K3B burning tool and Kodi media centre. I would say that this section of the menu is the most well-balanced in its components. Of course, there are a lot of system utilities and tools, like Yakuake and Konsole terminals, KDE Partition manager, Archive manager, Calculator, KWrite editor, CUPS and so on. GIMP - yes, version 2.8.14-r1. OpenOffice - no, but who would care now? Anything else? Why not check yourself? If you remember from my previous reviews, Sabayon is based on Gentoo Linux that has an ideology "compile on-site". The applications are compiled during the installation, which presumably improves their performance on specific machine. The downside is that installation of the applications may take serious time. Sabayon has a slightly different logic here, and applications come partially pre-compiled. To see how Rigo works, I tried to install KTorrent and Pidgin in my Live session of Sabayon 15.11 KDE, and... it failed! The Rigo's window does not provide any information about the reason of the failure, so I can't comment. Sabayon 15.11 KDE left quite contradictory impressions on me. On the positive side, KDE 5, or Plasma 5 in this operating system was very much polished. I tried Plasma 5 in Kubuntu several times, but felt myself very uncomfortable there. Up until now I thought that Plasma 5 is a bit too unpolished. Sabayon 15.11 KDE removed my prejudice. I know now that KDE5 is the Desktop Envirnment everyone can use. Maybe that's the reason for Kubuntu team to revisit their approach. 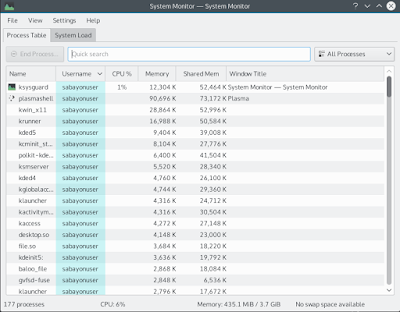 Also, general performance of Sabayon 15.11 KDE was above average. It was snappy, fast, quick, call it your way. Until it reached a certain point. And when that point was reached, Sabayon 15.11 KDE hanged my system in the middle of the simple process. This was unpredictable and very frustrating. It almost burnt my CPU! I would not rely on an operating system that can play such tricks! The same applied to my attempts to install additional applications. The default set is not enough for many of us. I would definitely need LibreOffice and GIMP. But I could not verify the installation of additional applications using smaller ones as guinea pigs. That's not reassuring. Another small bug is that my layout switch hotkey stopped working at some point. I had to switch the layout using the panel icon and the mouse. This one-off exercise fixed the hotkey, but that's yet another inconvenience. What do you think about this? I would say that the best way to decide is to try the OS yourself. Download the ISO image and run it. 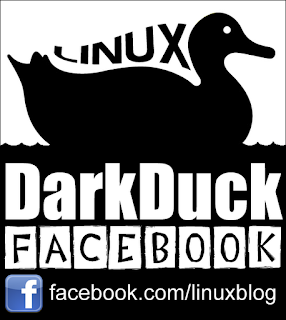 If you cannot create a disk with Sabayon yourself, why not order it through the BuyLinuxCDs site? I tried KDE Plasma for the first time this week and I have to say I was expecting something better. chakra. I will try it on net runner or kubuntu before making a more informed decision on it because to be honest I wasn't particularly impressed by chakra. I wouldn't try Kubuntu. I tried it and was disappointed.